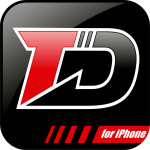 TrackDay for iPhone | FTLapps, Inc. Looking for more? Check out what’s included in TrackDay Pro! Join our team! Download TrackDay for iPhone on the App Store today! I have bought the trackday pro iphone app and the Brands Hatch ‘in app purchase’. The Brands Hatch circuit that has been supplied is the GP circuit, my trackday (and most trackdays at Brands) is on he Indy circuit. Have you got the Indy circuit ? I don’t see portimao track listed. Is there anyway of getting this included? Also I can’t seem to select my Qstarz 818XT external gps unit from the options? Hi, I have just bought your app but have noticed the track I’m driving on tomorrow isn’t listed. Is it possible to add “Blyton Park” to the list? It might be an idea to add “Blyton Park (Eastern)” too if possible? Working on them now! Should be able to have them ready just in time! Hi, i am riding at Autodromo Hermanos Rodriguez in Mexico (National circuit, not F1) on sunday but isn’t listed. Thanks! Hola! Sorry we’re so far behind the curve on your request. Today, we’ve added Autodromo Hermanos Rodriguez to our list. We’ll get it added within the next few days!